As we previously reported, on March 10, 2012, a Princess Cruise ship, the Star Princess, failed to render aid to a drifting vessel. The multiple witness accounts, which have been documented in the media for the past two months, have shown that the cruise ship’s captain either deliberately ignored the call for help or was never made aware of the situation. Neither one of those scenarios is a valid excuse. This week, a very similar set of circumstances occurred, but thankfully for the occupants of the raft in distress, they were rescued by a cruise ship that was sailing near by. 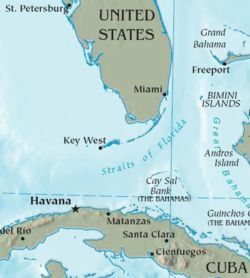 The Disney Fantasy, a cruise ship owned and operated by Disney Cruise, was sailing from Port Canaveral (Florida) to the Cayman Islands on May 26, 2012, when crew-members spotted a small raft near Key West, Florida, with four men aboard. The ship quickly responded to its duties and rescued the men. “The men were brought aboard the ship and provided with medical attention along with food and water. We are proud of our Disney Fantasy crew members, who skillfully demonstrated their training and commitment to maritime protocols around saving lives at sea,” Disney Cruise Line said in a statement. These developments are in stark contrast with what occurred last March when the Star Princess failed to rescue a drifting vessel, occupied by three men, including a minor, which eventually resulted in two deaths. The Star Princess failed to follow Article 98 of the UNCLOS (The United Nations Convention on the Law of the Sea of 10 December 1982) which provides that a ship must render assistance to any person found at sea in danger of being lost. The Star Princess crew was made aware of the drifting vessel by three cruise passengers, who, at the time. were bird-watching, when they spotted the vessel and its three occupants attempting to flag down the large cruise ship by waiving their white t-shirts. The witnesses showed the drifting vessel to a crew-member, they even let him use their bird-watching equipment to confirm the nature of the distress. The crew-member then advised the crew on the bridge of the ship in distress. Despite the grave concern felt by those who saw the vessel adrift, for some inexplicable reason, the Star Princess did not render any assistance. It never deviated from its course. It never called the Coast Guard for help. It simply continued on with the cruise, to the next Port. For days and weeks after the cruise, Princess Cruise communicated with one of the three witnesses whose concern led her to contact the cruise operator and to ask what had happened with the three men. According to said witness, the cruise company first said that the three men were not adrift, nor in distress, and that they were simply waiving their shirts as a thank you to the large ship for not sailing over the boat’s fishing nets. Utterly dissatisfied with that answer, the witness pressed on with her questions and Princess finally asserted that the crew on the bridge had notified the proper authorities and never was required to render assistance directly. It is not until recently that Princess Cruises admitted to the total failure by issuing a statement saying it deeply regrets the loss of life and was investigating the incident. It said it understands its responsibility under the law to aid a vessel in distress. The rescue of four Cubans over this past weekend is a reminder that the loss of two lives could have easily been avoided. Tagged: "Adrian Vasquez", "Carnival Cruise Lines", "Disney Cruise", "Fernando Osorio", "Four Cubans", "Grand Cayman", "Jeff Gilligan", "Judt Meredith", "Key West", "Oropeces Betancourt", "Princess Cruise", "The Disney Fantasy" and "The Star Princess"